The addition of a bidet toilet seat – also known as a washlet – or a bidet to a bathroom in the United States often leads to the bathroom fixture becoming a focal point for houseguests. The comments and questions about a bidet can lead to a full conversation about how to use one and why one would want one added to his or her bathroom. Some people have never seen one in person while others have seen them but haven’t become comfortable with using them. The bathroom bidet is so common in European countries that it is found in homes, restaurants and hotels. Those who are familiar with using a bidet or washlet seat know how beneficial these can be to a bathroom. So if you’re wanting to give your bathroom an update but aren’t sure if you should add a bidet or a washlet, here are three tips to help make your decision easier. If you’re limited on space in your bathroom, a washlet may be the best option for you. What makes a washlet a viable option is that it can be attached to your existing toilet. The additional hardware can be attached to the toilet or to the wall next to the toilet. You’ll want to make sure that the washlet you are interested in is compatible with your current toilet, or else you’ll need to purchase a new toilet and a washlet. 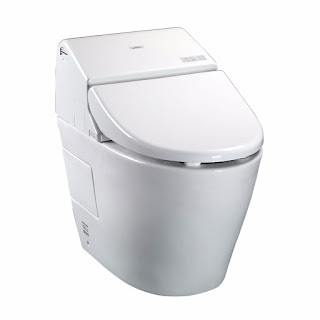 If that is the case, consider the popular washlet toilet, the Toto G500. The Toto bidet seat was invented by the Japanese company Toto and continues to be one of the best brands on the market for washlets. 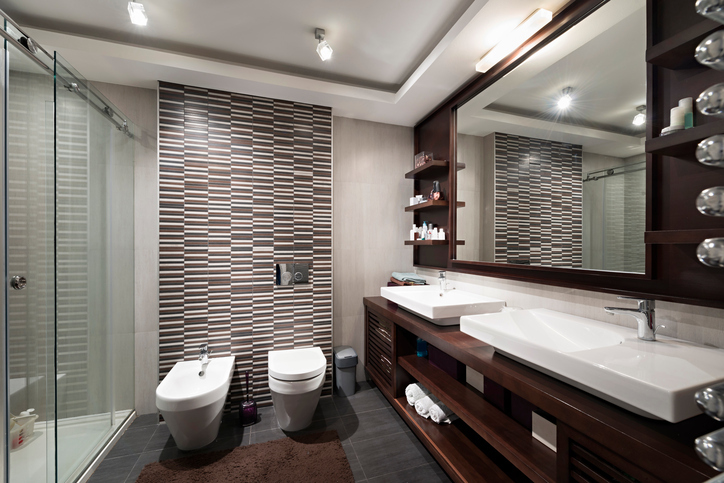 While bidets are often more compact than traditional toilets, there isn’t always room for a toilet and a bidet in a bathroom. If your bathroom renovation is for a half-bath in your home, a bidet could replace the toilet. Doing so may give your houseguests something to talk about when they come over to visit. Bidets are classic options that provide a quick cleaning solution for those times that you want to be clean but taking a shower isn’t a viable option. There aren’t many fancy options with a bidet beyond choosing if you’ll want to have a vertical spray nozzle or a deck mounted water solution. A bidet will provide many uses when it comes to hygiene. They can be used after using the toilet or as a quick rinse off spot for your feet after being outdoors or at the beach. We have heard of some people using their bidet to soak their clothes, but we recommend doing that in your bathroom sink instead. Washlets, on the other hand, provide many additional features with the most notable being a heated seat and a warm air drying setting. Other features include a bowl cleaning prior to use and an automatic air deodorizer. Some washlets are equipped with a personal memory setting, allowing your time in the bathroom to be that much more pleasant. If you’d prefer to stick to a traditional European bathroom, then the bidet is a great choice. If, however, you are looking for various bells and whistles to enhance your bathroom experience, then consider a washlet. If you’re wanting to update your bathroom basins but you’re limited by your budget, there’s good news for you: Both of our bidets and washlets are available at a reasonable price. Our affordable bidets are $325 while our washlet toilet seats range in price from $390- $975. So, which would you prefer to add to your bathroom? Thanks for sharing the consideration guide for choosing the best bidet toilet seat. Bidet toilet seats or Washlets are so much hygienic and reduce your cost of dry tissue paper as well. You should consider to use a bidet toilet seat, if you are not thinking about renovating your bathroom as well.